I’m not sure where he keeps it — maybe in an old box along with copies of that Super Nintendo gem known as “Bill Laimbeer’s Combat Basketball” — but it exists sure as Diana Taurasi continues to be a hoops wonder. Laimbeer has been here, lived it, understands the process. Heck, he helped write the dang thing. Youth can be an exasperating quality for those who coach professional sports, and yet Laimbeer has in the Las Vegas Aces a team that strikes a similar resemblance to those of his championship past. 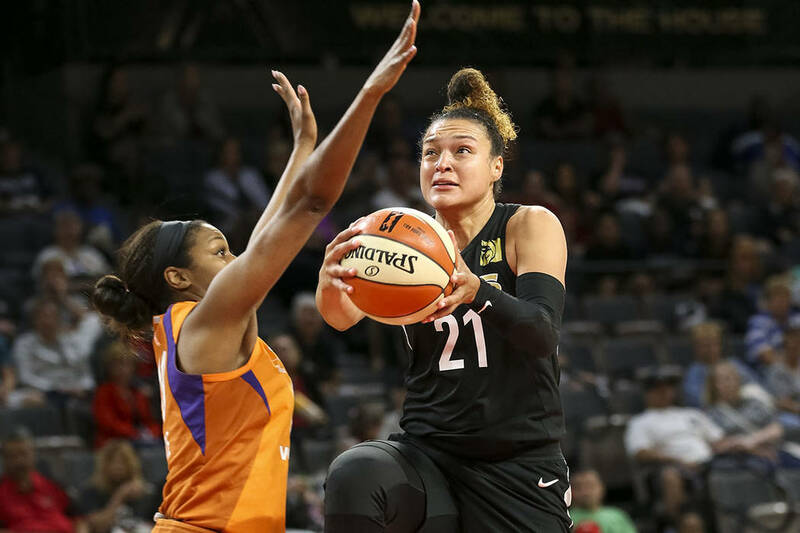 The Aces on Sunday competed as well as they have all season, and yet special is awfully difficult to beat at any level, which more than defines a Phoenix Mercury team that defeated Las Vegas 92-80 before an announced gathering of 4,432 at Mandalay Bay Events Center. He also inherited young in Detroit back in 2002 and the following season brought the city its first of three WNBA titles over the next six years. He inherited a mess in New York in 2013, lit a few M80s, blew up the roster, pulled off a trade for Tina Charles and had the Liberty in a conference final within three years. The Aces are 3-9 and yet more than stayed with a Mercury side that has won eight straight, but when the other team has a few of the world’s best players and you spend the afternoon trading twos for threes, winning usually isn’t part of the final equation. Time doesn’t just fly, but instead moves like a Bugatti Super Sport on an open road, because one day you look up and notice Taurasi is in her 14th WNBA season and can’t fathom it. 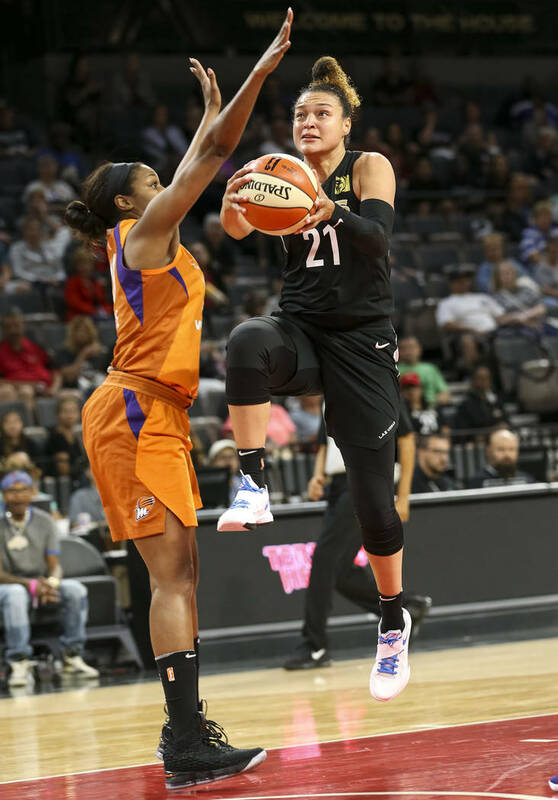 The best female player in history — yeah, she’s at the top of yet another subjective list — scored 28 on Sunday and killed the Aces from deep with 6-of-15 on 3s. She still dictates a game. Brittney Griner, her teammate and a WNBA champion and Olympic gold medalist herself, went for 24 points and eight rebounds. “Bill’s teams are always tough,” Taurasi said. “They’re persistent. They got a bunch of kids that want to compete. Bill accelerates that process. He just does such a good job getting his teams to play hard and together and play to the last whistle. It doesn’t take much, other than time. Taurasi and Griner own that special quality. 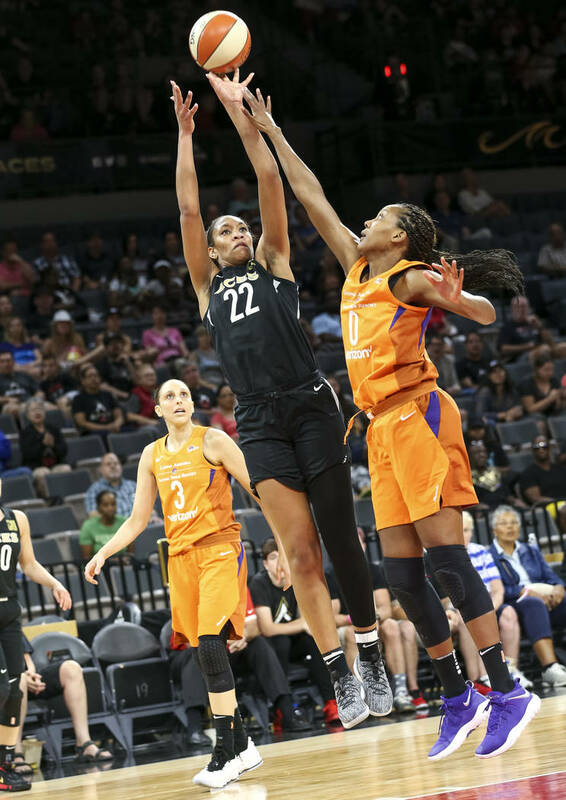 There’s no question A’ja Wilson has it within her, and the Aces rookie responded again Sunday with 21 points and 11 rebounds. You can build a franchise around Wilson. You can create a champion in time with her as its anchor. Young teams needs practice and a heavy game schedule to begin the season hasn’t allowed much of it for Aces. They also need their full complement of players, and point guard Moriah Jefferson has yet to play while tending to an injured knee. All she did was help lead Connecticut to a 151-5 record and four national titles while in college. She expects to win. You can’t have enough of that. There is promise in guards like Kayla McBride (20 points on 6-of-17 shooting) and Nia Coffey (11 points, 12 rebounds), but things are likely another high draft pick away from taking the proverbial huge leap up the standings. Been here, lived it, understands the process. I’m also thinking he owns some of those Super Nintendo gems, but would gladly trade any and all futuristic games in which physical play is encouraged for another A’ja Wilson.